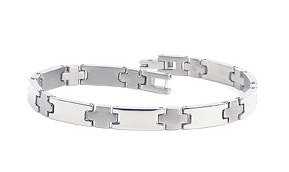 Apples of Gold Jewelry offers high quality, Forza Tesori titanium bracelets, home of world class, original air craft grade titanium bracelets for men and women. 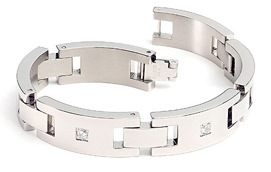 Forza Tesori's exclusive line of precision designs are for those who appreciate quality. If you are looking for something more exclusive and enduring, please examine the exquisite designs of our collection. Each has been painstakingly crafted by skilled artisans who are passionate about their work and consider it a fine art. 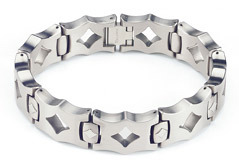 We are confident about our stylish titanium bracelet designs, so we'll let you try them on risk free for 30 days! Try it on, see how it looks on you. Or if it's a gift for someone else, you can rest assured that they'll love it with plenty of time to spare. 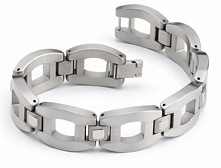 All of our titanium bracelets come with a standard 30 day return policy.